But before you freak out, this is good news: "Fast & Furious 7" is coming out even faster. 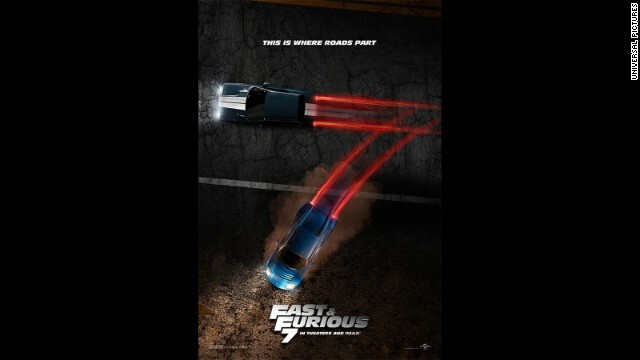 Instead of arriving on April 10, 2015, the seventh installment of the "Fast" franchise will now bow on April 3, Variety reports. The speculation is that Universal moved the release date up a week to allow more time for an international run. "Fast 7" was initially supposed to open during 2014's summer season, but that changed after the death of franchise star Paul Walker last fall. The theory is that Universal's planning to "retire" Walker's character, Brian O'Conner - not kill him off. Ever since the death of Paul Walker in a terrible crash during the filming of Fast & Furious 7, the world was curious to know who would replace him if the producers wanted to make the next instalment of the Fast and Furious series. Now when they are finally ready to release the 8th version of the series, we would finally get to know about the full cast of the movie. If you are curious to like me, just take a look at Fast and Furious 8 First Look and also other details related to the Fast and Furious franchise. Apparently, not only can you polish a t*rd, but you can do the same to the next 6 t*rds as well.